They turned Bobby Kay's funeral into a circus Saturday, with clowns and balloons and cake and circus stories. But the famous clown, who died in Long Beach at age 75 after more than a half century of delighting circus-goers, would have loved it. No matter that he actually died nearly three months ago - most of his circus friends were still out on the road then, thus delaying a proper memorial service. Or that one of the nineWest Covina Elks Club clowns who donned whiteface makeup and colorful costumes for this weekend's distinctly unmournful occasion repeatedly misponounced the name of the man he said had inspired today's clowns. Or that the planned circus music was misplaced. More than 50 people, many themselves old-timers from the circus, gathered at the Variety Arts Center in dowtown Los Angeles to swap memories of Bobby Kay, whose real name was Robert Smiley. Kenneth and Irvin Feld, owners and producers of the Ringling Bros. and Barnum & Bailey Circus, in which Kay worked for 37 years, paid tribute to Kay in a letter as "a great clown and a great human being who dedicated his life to giving happiness to millions of Americans through his clowning and magic," adding that "We will always miss you but never forget you." 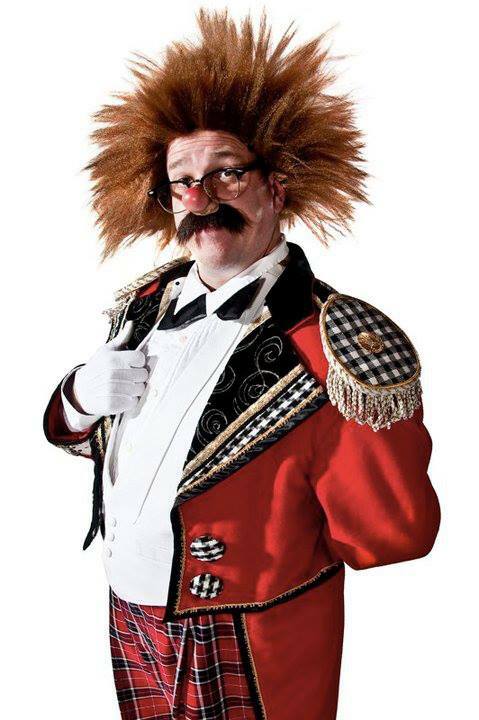 Magician Joe Smiley reminisced about their Pennsylvania childhood and eulogized the brother he is convinced is "in the center ring, divenly entertaining...preparing a production for all of us the day the circus comes to town." Another brother, musician Walter Smiley, was also on hand. 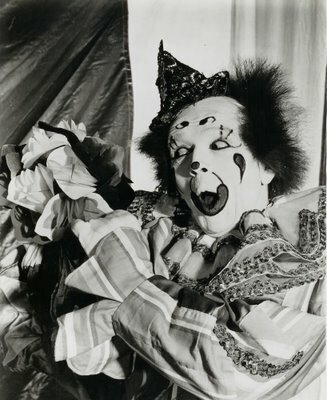 Several of those who had known or worked with him described Kay as a soft-spoken man who introduced blind children to the circus, entertained the hospitalized, and always reminded young clowns not to forget the importance of makeup "in the ears and on the back the neck" as a matter of principal even if no wide eyed youngster is checking under the wig to see if the funny man is pasty white all over. Kay himself smeared his face with zinc-oxide and Crisco, then set it with a powder-filled sock. 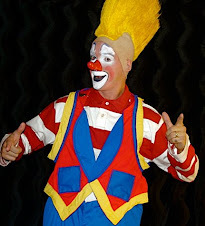 Kay shared a West Hollywood duplex with fellow clown Harold Hall until Harold's death, and then, suffering froma brain tumor and cancer, was forced to enter a Long beach nursing home. But he continued to teach at the circus' clown college in Venice, Fla (which sent a videotaped tribute), and attended the circus when it was in town until the end. The circus was his life. 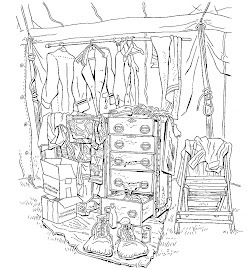 Intrigued by an aerialist who lived across the street from his childhood home in Lewistown, Pa., he ran away to join the circus as an acrobat at the age of 16. His father, a country doctor, insisted that he try college for at least a year; Kay did and then rejoined the circus, quickly finding his niche as a clown. But he also loved classical music, the theater and gourmet cooking, said longtime friend Shirley Carroll, who described him as "a private person, but not sad in the laugh-clown-laugh way" clowns are often characterized. If there were few tears Saturday, that's what friends who organized the "celebration" intended. And Kay himself, via a 1980 videotape of a lecture he gave at the Variety Arts Center, had the last word.He answered questions as heshowed how he transformed himself from quiet man to outrageous clown. Friends ended the afternoon, coffe and cake in hand, watch the man they agreed combined "a natural clowning instinct, perfect timing and a special way of touching people" expound on reality and illusion under the big top. "The costumes look elegant, but they're really filthy," Kay said at one point. "We just dance fast and let the light catch us." Bobby Kay was THE KINDEST man I have ever worked with. He was affectionately know in the alley as "Grandma." I tried to throw away a sock with a hole in it one time, and Bobby taught me how to darn it. I had severe neck pain (whiplash) from throwing slaps and falls 40 times a show, and Bobby taught me Tai Chi, which BTW also improved my miming abilities. And finally, every move-out night became a chance to hear stories and share cocktails with Bobby Kay and Joey Hodgini (SP?.) These stories were not simple jackpots... they were "Performance Art in a Roomette!" Bobby would tell stories of when he left the show for Hollywood in the 50's. He worked on the Sunset Strip at Ciro's which is now the Comedy Store. This was a great club at a time in Hollywood when clubs RULED. Bobby produced themed parties and once had an elephant and hippo onstage there.